Like Shabby Apple on Facebook (mandatory) & leave a comment saying you did! For an additional entry, visit Shabby Apple & leave a comment with your favorite item. For another entry, leave a comment here after following Shabby Apple on Twitter. For a fourth entry, leave a comment here after following their blog. For one more entry, be a follower of ElleSees, and leave a comment saying so. 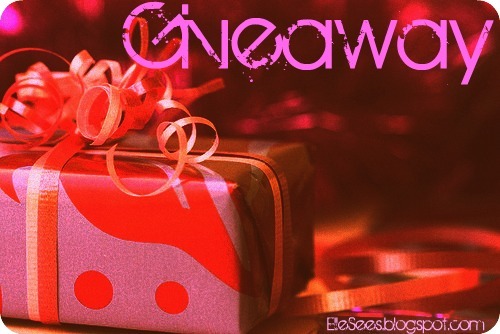 This giveaway will run for one week, and will end February 29, 2012. I love that dress. I "like" Shabby Apple on Facebook. I actually love this dress! It's darling and I'm going to Europe this summer and it would be perfect! One of my favorite dresses is the extra credit dress. I follow Shabby Apple's blog via GFC. I like them on Facebook. This dress looks amazing! And I follow your blog on GFC! Most importantly, I'm already a follower of your amazing blog via GFC! Like I said, Best Giveaway Ever!!! Thank you!!! Super cute - count me in! very cute dress! i follow Elle Sees! That is such a cute dress! I follow them on FB! Love all of SA's dressed but this one is my favorite. Heading to GA/FL soon so this dress would be perfect to travel so comfy! Just followed SA on Twitter. I absolutely adore the Frabjous Day dress in the Mad Hatter collection! I think I am already Elle's follower but just to be sure I did it again ;) Wish me luck! I followed their blog via GFC! And of course I'm an Elle Sees follower!! i'm a follower of ellesees! I am LOVING their Toe The Line Dress! I follow Shabby Apples blog! I like Shabby Apple on FB! They rock! I also love the Pont Neuf dress. Awesome giveaway! I already 'Like' them on fb! I'm loving their Five to Nine dress... it's fabulous!